Wherever you are in the world, I'd like to wish all readers of this blog a very happy, healthy and peaceful 2009. "A Crime that cannot succeed"
Consider what sort of western response there would have been to an attack on Israel, or the US or Britain for that matter, which left more than 300 dead in a couple of days. You can be certain it would be met with the most sweeping condemnation, that the US president-elect would do a great deal more than "monitor" the situation and the British prime minister go much further than simply call for "restraint" on both sides. You can read the rest of Seumas Milne’s brilliant piece on Israel’s brutal assault on the people of Gaza- and the western double standards towards it- here. But while most normal moral people around the world have been appalled at Israel’s actions- there are some who think differently. Israel’s best selling newpaper Yediot Aharonot says that the devastating attacks have been "a stroke of brilliance" - and crowed "the element of surprise increased the number of people killed". Defenders of Israel like to portray the country as a kind of Belgium/Austria/Switzerland of the Middle East. It isn't. 14 people have been killed by rocket atacks in Israel in the last seven years-, yes that's right, 14- and Israel has responded by killing 5,000 Palestinians. Is that the way Belgium, Austria or Switzerland would react? And can you imagine a leading Belgian, Austrian or Swiss newspaper crowing about the number of people killed? p.s. there’s a great comment after Seumas’ piece from ‘ luna 17', which I'm pleased to say has had 78 Guardian readers recommending it. It is sickening - if tragically unsurprising - to read of the inhumane gloating by the Israeli press. Dehumanisation of the 'enemy' is part and parcel of any military assult, especially when civilians are deliberately and indiscriminately targeted on a large scale. Israel's actions are unjustifiable by any criteria. How can it be acceptable, for example, to attack a university? It's ironic really: if people here argue for a boycott of Israeli universities they are vilified, but Israel using American weaponry to assult a university? Apparently that's OK. I'd have thought bombing somewhere was more controversial than boycotting it. I would have thought so too. But somehow I don't think that those people who created such a fuss over the planned boycott of Isreali universities by the university lecturers' union will be quite so concerned by Israel's bombing of a university in Gaza. Amid the dross, there are some great programmes on tv this Christmas- with BBC2 showing classic episodes of Dad's Army on most days. Another highlight is a rare tv showing of the film version of Rodgers and Hammerstein's classic musical 'South Pacific' on Boxing Day at 1.25pm. Here's my Daily Express tribute to 'South Pacific', which was released exactly fifty years ago in March. The show featured several unforgettable songs, including the wonderfully upbeat 'Happy Talk', which you can watch being performed above. Enjoy! NOWADAYS we have grown used to the phenomenon of the movie blockbuster. Weeks of pre-release publicity. Interviews with the stars on the Jonathan Ross show. A red carpet launch at Leicester Square. But even the attention given to today’s most hyped-up films pales into insignificance compared to the enormous public interest generated by the release of the film version of the musical South Pacific, 50 years ago this month. “Try combining all of the media fuss surrounding a present-day Hollywood blockbuster, the British Royal Family and Christmas and you’ll come pretty close to understanding the frenzy surrounding South Pacific,” says film historian Robb Marsh. The original soundtrack, released at the same time that LPs first became commercially available, soon became a bestseller – it was said that by the end of 1949, everyone in New York had bought a copy. The South Pacific phenomenon quickly spread to Europe. In London, the show opened to sell-out audiences in 1951 at Drury Lane. After years of war and privation, colourful, upbeat musicals were lapped up by the public on both sides of the Atlantic. And the kings of the musicals were undoubtedly Richard Rodgers and Oscar Hammerstein II. The first show they wrote together was the groundbreaking Oklahoma! which had its Broadway premiere in 1943. It was the first musical that integrated songs, lyrics and dance into the storyline. In 1945, Carousel, which includes the rousing You’ll Never Walk Alone – a song that became an anthem for football fans – opened on Broadway. But as popular as these shows had been, Rodgers and Hammer­stein’s greatest success was yet to come. Set on a tropical island during the Second World War, South Pacific tells the story of a romance between high-spirited US Navy nurse Nellie Forbush and middle-aged French expatriate plantation owner Emile de Becque, a widower with two mixed-race children. A parallel romance is between US Marine Joe Cable and Polynesian girl Liat. When news came out that a film version of South Pacific was being planned, there was intense speculation as to who would be cast in the main roles. While several leading stars were tipped to play Nellie Forbush, including Doris Day and Elizabeth Taylor, in the end the part went to the relatively little-known actress Mitzi Gaynor. The Italian heart-throb Rossano Brazzi was chosen to play Emile de Becque. They were to prove inspired choices. No expense was spared to make the film one of the most lavish and most technically advanced ever seen. It was one of the first to be shot in Todd AO, an extremely high-definition wide­screen film format. In addition, special colour filters were used by director Joshua Logan for dramatic emphasis. South Pacific was released in America on March 19, 1958, and had its UK launch a month later. The public’s response could not have been more emphatic. At the Gaumont in Manchester, South Pacific played continuously for two years and two months. At the Dominion Theatre in London’s Totten­ham Court Road, the film ran for an incredible four years and 22 weeks – a total of 2,551 performances. It was a huge international success: in Sydney it enjoyed a 180-week run and it played to packed audiences across Europe. The public weren’t only queueing up to see South Pacific in their millions but were also rushing to buy the soundtrack. The album of South Pacific, featuring Gaynor and Brazzi in a romantic embrace on the cover, was the first No1 in the album charts, which were launched in Britain in November 1958. It stayed at No1 for 115 weeks – which remains a record to this day. It was also the first album to sell one million copies in Britain. The sheet music of South Pacific also sold in record numbers. There were other spin-offs, too: the name South Pacific was licensed for cosmetics, dresses and lingerie. How can we explain South Pacific’s extraordinary appeal? First and foremost, it was one of the greatest musicals of all time. “South Pacific has the lot – memorable songs sung by real people, embedded in a coherent plot; music, lyrics and book [the script],” is the verdict of music critic Mark Steyn. South Pacific contains some of Rodgers and Hammerstein’s greatest work: romantic ballads such as Some Enchanted Evening, and Younger Than Spring­time, upbeat songs including Happy Talk and Cockeyed Optimist and exuberant chorus numbers such as There Is Nothing Like a Dame. Although Rodgers and Hammerstein did portray characters with darker sides, South Pacific, like all of their work, is tremendously uplifting: just the tonic for audiences in the immediate post-war era. “I see plays and read books that emphasise the seamy side of life, and the frenetic side, and the tragic side. I don’t deny the existence of the tragic and frenetic. But I say that somebody has to keep saying that isn’t all there is to life,” said Oscar Hammerstein, explaining his positive outlook. Rodgers and Hammerstein transported the public away from their humdrum lives to magical and colourful worlds, where romance was always in the air and where even the wildest of dreams could come true. Fifty years on from the film’s release, and nearly 60 years since it opened on Broadway, South Pacific is still enchanting audiences. A major touring production of the show opened in Blackpool in August and will finish in Cardiff in July. A Broadway revival opens in New York early next month. After writing South Pacific, the duo created two more unforgettable musicals: The King And I and The Sound Of Music. Because of their tremendous and enduring popularity, it’s fashionable in certain circles to sneer at Rodgers and Hammerstein. Yet their work has brought more happiness to more people than any other 20th-century song-writing partnership. Up to 1m people dead. 4m refugees. The infrastructure of the country destroyed. Many areas of the country without supplies of clean water and electricity. A massive decline in public health. Women's rights put back centuries. A total breakdown of law and order. And what does 'Neo' Con Coughlin think about the situation in Iraq? He thinks that "British forces leave Iraq a far better place than they found it". In Coughlin's Daily Telegraph article there is not one mention of Iraq's (non-existent) WMD programme. Interesting that, given that before the war, Iraq's phantom WMDs is all that Coughlin and his fellow neocons wanted to talk about. Instead, we are told that the war was about overthrowing "Baathist gangsters" and bringing "democracy" to Iraq. All neo-cons are conspiracy theorists, and Coughlin is a conspiracy theorist of the highest (or rather, lowest, order). He's peddled the untruths that Iraq was seeking uranium from Niger, that Iraq had WMDs that could be assembled within 45 minutes- and he's also published a false claim re Iran's nuclear energy programme- which has led to him being reported to the Press Complaints Commission. Now he's peddling the lie that the invasion of Iraq has made the Iraqi people better off. There are plenty of scandals regarding the Iraq war. But not the least of them is that those who propagandised for the war and who in doing so, printed blatant falsehoods are still, five and a half years on, up to their old tricks. I've labelled Coughlin a 'wally', but of course he is far worse than that. He is a pimp for war, propagandising for military conflicts in which other people- but not of course himself or his family- will do the dying. Iraq: "A Human Catastrophe on the Grandest Scale"
More than 4,000 Americans have been killed and perhaps 20,000 wounded. The British loss is 178. But statistics are one thing, while the spectacle of limbless young men and women at the Headley Court rehabilitation centre in Surrey is quite another. As for the Iraqis, their loss and suffering as a direct consequence of the Anglo-American occupation has been appalling. To begin with, there was the colossal physical damage and civilian casualties inflicted by the initial ‘shock-and-awe’ bombardment of Baghdad and other cities. Since then, the total number of civilians killed in the crossfire between the bombs of the insurgents and the inaccurate U.S. firepower on land and from the air stands between 100,000 and 600,000, depending on the guesstimate. When we add to this tally of death the known total of Iraqi refugees at four million, the bottom line is a human catastrophe on the grandest scale. Brown will tell the House that Britain can withdraw its 4,100 troops because we can leave the peace and security of the Basra region safely in the hands of the Iraqi government and its British-trained army. But this, too, is a lie. The truth is that we will leave Iraq at a time when the Iraqi people are immeasurably worse off than under Saddam’s tyranny. writes the historian Correlli Barnett in today's Daily Mail. I am proud that I was among the small number of British journalists and media commentators to unequivocally oppose the Iraq War- and to openly ridicule, in print, the neo-con claims that Iraq possessed WMD. I am proud too to have taken part in the large anti-war demonstrations which took place in London in September 2002 and February 2003. But I am very sad that we on the anti-war side were unable to stop the neocons from getting their evil way and that we failed to prevent a "human catastrophe on the grandest scale". "Off with the heads of all City types!" I want to see hedge-fund managers tipped into cage fights with naked Gypsies; bank managers wrestle with lions in the O2 arena; failed regulators thrown to alligators in the Royal Docks; short sellers in pits of snakes; and distinguished City economists try their luck with sharks. They've had their heyday, their bonuses, their Porsches, their fine wines and oafish ostentation - they've had their fun. Now for ours. Who wrote these stirring words in his newspaper column today? Seumas Milne in The Guardian? Robert Griffiths in the Morning Star? No. It was Matthew Parris in The Times. That's right: Matthew Parris, the former Conservative MP and right-wing political commentator. It shows you how far the pendulum has swung when we have conservatives like Parris calling for 'City types' to be marched off to the guillotine for the destruction they have caused to the world's economy. The hatred and anger towards 'City types' felt by the public at large is only going to intensify in 2009. Yesterday, the Daily Mail- yes, The Daily Mail- reported on its front page how 'Goldmine (Fill Your) Sachs' was awarding its staff bonuses totalling £4.3bn - a large chunk of the £6.5bn it received from US taxpayers. There's a revolutionary air in Britain, America and in Europe at present and if the socialist left cannot forge the alliances (including with decent 'old' conservative factions represented by the likes of Matthew Parris) that are necessary to sweep the corrupt, globalist regimes from power, then they'll only have themselves to blame. The ban on smoking in public has failed to increase the number of people quitting, a report revealed yesterday. The proportion of men who smoke has actually risen since the ban in July last year while there was no change at all among women. The figures, coming after years of declining smoking rates, are a massive blow to Labour's public heath policy. It gives me no great pleasure to say to supporters of the ban 'I told you so'. But those of us who opposed the draconian New Labour legislation did warn that it would not lead to an increase in the number of people quitting. We also warned that the ban, while not improving public health, would however lead to the closure of thousands of pubs, social clubs, bingo halls and other institutions. And this of course is exactly what has happened. The 2007 law- motivated by the New Labourites' class hatred- was one of the most ill-thought out pieces of legislation ever passed by the British Parliament. Will we get a 'mea culpa' from those responsible? Of course not. The party that has refused to apologise for leading our country into a disastrous, illegal war in Iraq (and an equally unlawful and deceitful one against Yugoslavia), is unlikely to say sorry for helping to destroy social life in Britain, is it? UPDATE: Charlie Marks has news of another great New Labour 'success'. After 11 years of Labour government, the gap between the income of the richest and poorest households is unchanged, according to new figures. Income distribution in the UK has not changed since 1991, the Office for National Statistics figures indicate. Then as now, the top fifth of households have 42% of total disposable income, and the bottom fifth just 7%. Some breaking news: five and a half years on from the invasion, Iraq's WMDs have finally been found. Mick Hall has the details. "The biggest financial scandal, probably in the history of the markets"
Another day, another tale of turbo-capitalist greed. In any truly moral society hedge funds would be illegal, but the scandal surrounding the fund of Bernard Madoff (pictured above) means that enacting such legislation might not be necessary: as the BBC's Robert Peston says, the Madoff scandal is likely to accelerate the disappearance of hedge funds. The Madoff scandal has been described by investor Nicola Horlick as "the biggest financial scandal, probably in the history of the markets". But I find it hard to find much- if any- sympathy for those who have lost their money in the scam. This is a tale of very rich people and very rich institutions, who weren't satisfied with the enormous wealth they already had, but who wanted more and more. In fact, that's been the story of the whole thirty years of neoliberalism. The globalist elite- through their political emissaries- destroyed the mixed-economy system which served the interests of the majority and instead replaced it with an economic model in which only a small minority of bankers, capitalists and speculators would benefit. That system is now disintegrating before our very eyes- brought down by the very greed which was behind its adoption in the first place. I have to tell the World that the whole of Wall St is a giant fraud. Just in case you didn't know. Most of us who have had anything to do with so called free markets know, in our heart of hearts, that it couldn't last. Anyone surprised? "There’s only one correct response to the Madoff affair - to laugh like a drain"- is the verdict of Chris Dillow, over at Stumbling and Mumbling. I couldn't agree more. Earlier this year, I wrote an article on how, back in the 1960s, Britain was much more open to European cultural influences than it is today. But Britain- and the US- wasn't just more open to European culture, but the culture of other nations too. I was reminded of just how cosmopolitan the world was before the turbo-globalists took over while listening to the excellent Sound of the 60s show on Radio 2 earlier today. Can you imagine a song, sung entirely in Japanese, getting to the top of the US pop charts today- and staying there for three weeks? No, me neither. The song in question 'Ue wo muite arukou' or 'Sukiyaki' as it was marketed in the US and Britain-became a huge international hit (it reached number six in Britain) and spawned several cover versions. None were quite as good as the original, which you can see being sung above by Kyu Sakamoto. The sad truth is that the era of turbo-globalisation hasn't led to a greater cross-fertilisation of cultures as its supporters claimed it would - but the overwhelming dominance of an introspective, bland and dumbed-down transatlantic global culture that isn't a patch on the true, life-enhancing cosmopolitanism we had in the 1960s. Another day, yet another victory in Britain for the anti-smoking zealots. Not content with Britain having arguably the most draconian anti-smoking laws in the world, we're now to have a ban on shop displays of tobacco. In the rest of Europe however, the zealots are not having it all their own way. Here's my piece on the growing pan-European smoking resistance movement, from The First Post. If you hold to the stereotype of Germans as people who love obeying rules, however ludicrous, then think again. Across Europe, a resistance movement is growing to the many draconian bans on smoking, and leading the rebellion are the Germans. Germany is home to a plethora of anti-ban organisations and smokers' rights groups including the 'resistance' group Smoking Rebels, who record pro-smoking rock songs and rail against Europe's new anti-smoking 'dictatorship', and the Pan-European Association of Smokers, whose purpose is to "achieve reasonable conditions for smokers in all European countries". Bans on smoking in Germany have been circumvented by bars charging a nominal entry fee and thereby transforming themselves into private clubs, which still have the right to set their own smoking rules. Bans have also been overturned in the courts: this summer the Federal Constitutional Court upheld complaints made by small bar owners in Tubingen and Berlin that the bans were damaging their business. Meanwhile leading German personalities, including the 89-year-old former Chancellor Helmut Schmidt, a life-long heavy smoker, have openly flouted the new laws. Schmidt and his 88-year-old wife Loki (above) were pictured smoking at a theatre reception in Hamburg. A case bought against them by an anti-smoking group, which accused the theatre of abetting the pair by providing them with ashtrays, was dismissed by the city's authorities. It's a similar story of rebellion in the Netherlands. There, the ban on smoking tobacco (but not, incidentally, marijuana) in enclosed public places, introduced in July, has been widely ignored. In the city of Den Bosch last month, the majority of pubs allowed their clients to smoke in protest against the ban. Around 500 establishments have been fined for breaching the new law, but faced with the prospect of losing their clientele, many bar owners have preferred to allow their regulars to carry on smoking. In both Holland and Denmark, smokers' parties have been formed. The Danish Smokers Party (Rygerpartiet) has as its first stated goal "to get parliament representation, in order to combat smoking laws". It fights "for the right to diversity and nonconformism" in Denmark and opposes the "daily discrimination, harassment and persecution of tobacco smokers". The party has recently been renamed the 'Party against Nannyism'. Ironically, the country in Europe where there has arguably been the least resistance to anti-smoking legislation is Britain. The country that stood alone against the Nazis in 1940 is the one which seems keenest to observe laws that were first introduced by the Nazis in Germany in the 1930s. Whatever would the inveterate cigar smoker Winston Churchill have made of that? UPDATE: You can hear me arguing against the British government's ludicrous ban of tobacco displays, on the BBC World Service's Europe Today programme, here. My contribution is about two-thirds into the programme. Oliver Postgate: A "warm and unambitious man"
He was the voice not just of my television childhood, but of everyone other person who grew up in 1960s and 70s Britain. Oliver Postgate, whose death was announced yesterday, was the creator of such magical television gems as Ivor the Engine, Pogles Wood, Noggin The Nog, The Clangers and that wonderful saggy old Orthodox Miaoist Bagpuss, who was recently voted the nation's favourite tv animal of all time. Together with his partner Peter Firmin, Postgate produced some of the most memorable-and charming children's programmes of all time. A far cry from the brash, in-yer-face and dreadfully charmless children's programmes of today. Postgate was a remarkable man, and a member of a remarkable family. His grandfather was the saintly George Lansbury, the most left-wing leader the Labour Party has ever had. Postgate's father, Raymond, was a socialist journalist and a founder member of the British Communist Party. His aunt and uncle were Margaret and GDH Cole, both socialist writers (Raymond Postgate and GDH Cole co-authored 'The Common People'- one of the first accounts of working class history). His cousin was the famous actress Angela Lansbury. In addition to his television work, Postgate was also an inventor (inventing a machine for electroplating plastic buttons and an electric rotary lawnmower), and a writer- he blogged in recent years for the New Statesman. A lifelong pacifist, he was appalled by the imperialist arrogance which lay behind the neoconservative doctrine of 'regime change'. The other day I heard John Bolton - who lately resigned his post as US representative designate to the United Nations - saying how unforgivably evil it was of the Syrians to (allegedly) assassinate certain Lebanese politicians who were thought to be obstructing Syria’s ambition to gain political control of Lebanon. If true, that is certainly a despicable thing to do, definitely not the sort of behaviour we expect from a member of the community of nations. Then, later, I heard that US Secretary of State Condoleezza Rice had affirmed that the US expenditure of materials and human lives on a war intended to obtain political control of Iraq and bring to it US-style democracy is - and has been - as she put it, "a worthwhile investment". Comparing these two projects, one can see that, although basically similar in purpose, the (alleged) Syrian investment is, in purely arithmetical terms, far more economical in outlay than the US one, in that only one or two lives were lost and little physical damage occurred, rather than the half-million or so lives that are thought to have been lost in the massive destruction unleashed by the invasion of Iraq by the US and its allies. Postgate was, according to his Daily Telegraph obituary, "a warm and unambitious man". What a wonderful epitath in an age in which the ruthless individualistic economic system we live under encourages us to be anything but "warm and unambitious". Above you can watch a clip of the master at work in a wonderful BBC4 documentary about Postgate and Firmin. The great man is 80 years old today. By way of a tribute, here's my article on Chomsky from the New Statesman's 'Great Thinkers of Our Time' Series. The charge of both anti-Americanism and anti-Semitism is regularly made by propagandists of the new world order against those who do not happen to share their enthusiasm for biennial invasions of sovereign states and the spreading of neoliberalism by B-52 and cluster bomb. What the likes of Michael Gove, Barbara Amiel and Melanie Phillips cannot explain away, however, is the inconvenient reality that some of the most outspoken opponents of their world-view are either American or Jewish, or very often both. The international anti-war movement owes much to the efforts of Gore Vidal, Ramsey Clark, Michael Parenti and Howard Zinn. But the greatest of their number is Noam Chomsky, who has spent more than four decades warning of the danger that US imperialism poses to the peace and security of the world. Born in Philadelphia in 1928, the son of Russian immigrants who had strong pacifist leanings, Chomsky's early education was at a progressive school and at the city's Central High School. At the University of Pennsylvania, he studied mathematics and philosophy, as well as linguistics. Since completing his PhD in linguistics in 1955, he has taught at the Massachusetts Institute of Technology, where he was appointed Institute Professor in 1976. His contribution to linguistics is profound. His Syntactic Structures (1957) is considered to be one of the intellectual achievements of the 20th century. Chomsky pioneered the idea that each human child has an innate capacity to master the grammar and deep structure of language. His insight was based on the observation that children learn grammar at a rate far greater than can be explained by their extrapolating from examples given to them. They must therefore have an innate capacity not only to learn language but also to understand how it works. Because language acquisition is universal, all languages must share the same fundamental structure or "depth grammar". Chomsky's revolutionary work on grammar and language deeply influenced not only linguistics, but also cognitive science in general. It has had a major impact on his political thinking as well. What Chomsky offers is, in the words of the author Collin Coyne, an "account of international power exchange from the linguist's perspective". For Chomsky, the word "democracy" has two quite distinct meanings. According to the dictionary, a system is democratic to the extent that its citizens have ways to participate in decisions about public affairs. In the ideological sense of democracy, a society is deemed democratic by the US only if its business is run in a way that is subordinate to the interests of US business. Anyone still in doubt as to why Guatemala in the 1950s, Nicaragua in the 1980s and Yugoslavia in the 1990s were denied the label "democratic" by the US state department, despite the holding of free elections in these countries, need no longer be puzzled. Chomsky came to prominence as a social critic of US foreign policy during the Vietnam war. His first major political text, American Power and the New Mandarins (1969), was critical of a liberal intelligentsia that had supported the Vietnam conflict or, if it opposed it, did so not because it was wrong but because of the high level of US casualties. In the 1970s and 1980s, Chomsky was, together with John Pilger, one of the few to speak out on the "hidden" genocide in East Timor, where, over a 20-year period, Indonesian forces armed and supported by the US were responsible for the deaths of more than 200,000 people. As a non-Marxist, libertarian socialist, Chomsky embraced the fall of the Berlin Wall. At the same time, he understood the dangers that would be created by the new power vacuum. His fear that with the demise of the Soviet Union, the US military-industrial complex would seek out new enemies to justify its existence has been borne out by subsequent events. That it has done so successfully owes much to what Chomsky calls an "unholy alliance" between the US state and the "corporate media". In works such as Manufacturing Consent (co-written with Edward Herman in 1988) and Necessary Illusions (1989), Chomsky challenged the orthodoxy that a "free press" acts as a "watchdog" in a capitalist democracy. He argued instead that by "framing their reporting and analysis in a manner supportive of established privilege and limiting discussion accordingly", the media help to preserve the status quo and the hegemony of global finance. Chomsky's understanding of the mechanics of US imperialism and his ability at all times to see the "big picture" have led him to oppose recent US military interventions in Kosovo, Afghanistan and Iraq, as well as President Bush's war on terrorism. As befits a true liberal, he has never compromised his belief in the freedom of speech, even to the extent that in 1980 he wrote the preface to a book by Robert Faurisson that doubted the truth of the Holocaust. In 40 years of writing about politics, Chomsky's errors of judgement - he was wrong to think that the fall of communism in eastern Europe was a "triumph of the spirit" and that the west missed a "great opportunity" to be rid of Saddam Hussein in 1991 - have been remarkably few. For anyone wanting to find out more about the world we live in, for anyone who does not understand why the US ignored the genocide in East Timor but intervened so aggressively in a low-scale civil war in Kosovo, there is one simple answer: read Noam Chomsky. He may be widely disliked by establishment commentators, but through exposing unpalatable truths about the way his country is run and by reminding us that US military spending protects not US citizens but the interests of the big US corporations, Chomsky has done his country and the world an invaluable service. This, together with his pioneering work in linguistics, makes him one of the great thinkers of this or any other time. Here's my article from this week's New Statesman on the dramatic revival of socialism in Europe. "If socialism signifies a political and economic system in which the government controls a large part of the economy and redistributes wealth to produce social equality, then I think it is safe to say the likelihood of its making a comeback any time in the next generation is close to zero," wrote Francis Fukuyama, author of The End of History, in Time magazine in 2000. He should take a trip around Europe today. Make no mistake, socialism - pure, unadulterated socialism, an ideology that was taken for dead by liberal capitalists - is making a strong comeback. Across the continent, there is a definite trend in which long-established parties of the centre left that bought in to globalisation and neoliberalism are seeing their electoral dominance challenged by unequivocally socialist parties which have not. The parties in question offer policies which mark a clean break from the Thatcherist agenda that many of Europe's centre-left parties have embraced over the past 20 years. They advocate renationalisation of privatised state enterprises and a halt to further liberalisation of the public sector. They call for new wealth taxes to be imposed and for a radical redistribution of wealth. They defend the welfare state and the rights of all citizens to a decent pension and free health care. They strongly oppose war - and any further expansion of Nato. Most fundamentally of all, they challenge an economic system in which the interests of ordinary working people are subordinated to those of capital. Nowhere is this new leftward trend more apparent than in Germany, home to the meteoric rise of Die Linke ("The Left"), a political grouping formed only 18 months ago - and co-led by the veteran socialist "Red" Oskar Lafontaine, a long-standing scourge of big business. The party, already the main opposition to the Christian Democrats in eastern Germany, has made significant inroads into the vote for the Social Democratic Party (SPD) in elections to western parliaments this year, gaining representation in Lower Saxony, Hamburg and Hesse. Die Linke's unapologetically socialist policies, which include the renation alisation of electricity and gas, the banning of hedge funds and the introduction of a maximum wage, chime with a population concerned at the dismantling of Germany's mixed economic model and the adoption of Anglo-Saxon capitalism - a shift that occurred while the SPD was in government. An opinion poll last year showed that 45 per cent of west Germans (and 57 per cent of east Germans) consider socialism "a good idea"; in October, another poll showed that Germans overwhelmingly favour nationalisation of large segments of the economy. Two-thirds of all Germans say they agree with all or some of Die Linke's programme. It's a similar story of left-wing revival in neighbouring Holland. There the Socialist Party of the Netherlands (SP), which almost trebled its parliamentary representation in the most recent general election (2006), and which made huge gains in last year's provincial elections, continues to make headway. Led by a charismatic 41-year-old epidemiologist, Agnes Kant, the SP is on course to surpass the Dutch Labour Party, a member of the ruling conservative-led coalition, as the Netherlands' main left-of centre grouping. The SP has gained popularity by being the only left-wing Dutch parliamentary party to campaign for a "No" vote during the 2005 referendum on the EU constitutional treaty and for its opposition to large-scale immigration, which it regards as being part of a neoliberal package that encourages flexible labour markets. The party calls for a society where the values of "human dignity, equality and solidarity" are most prominent, and has been scathing in its attacks on what it describes as "the culture of greed", brought about by "a capitalism based on inflated bonuses and easy money". Like Die Linke, the SP campaigns on a staunchly anti-war platform - demanding an end to Holland's role as "the US's lapdog". In Greece, the party on the up is the Coalition of the Radical Left (SYRIZA), the surprise package in last year's general election. As public opposition to the neoliberal econo mic policies of the ruling New Democracy government builds, SYRIZA's opinion-poll ratings have risen to almost 20 per cent - putting it within touching distance of PASOK, the historical left-of-centre opposition, which has lurched sharply to the right in recent years. SYRIZA is particularly popular with young voters: its support among those aged 35 and under stands at roughly 30 per cent in the polls, ahead of PASOK. In Norway, socialists are already in power; the ruling "red-green" coalition consists of the Socialist Left Party, the Labour Party and the Centre Party. Since coming to power three years ago, the coalition - which has been labelled the most left-wing government in Europe, has halted the privatisation of state-owned companies and made further development of the welfare state, public health care and improving care for the elderly its priorities. The success of such forces shows that there can be an electoral dividend for left-wing parties if voters see them responding to the crisis of modern capitalism by offering boldly socialist solutions. Their success also demonstrates the benefits to electoral support for socialist groupings as they put aside their differences to unite behind a commonly agreed programme. For example, Die Linke consists of a number of internal caucuses - or forums - including the "Anti-Capitalist Left", "Communist Platform" and "Democratic Socialist Forum". SYRIZA is a coalition of more than ten Greek political groups. And the Dutch Socialist Party - which was originally called the Communist Party of the Netherlands, has successfully brought socialists and communists together to support its collectivist programme. It is worth noting that those European parties of the centre left which have not fully embraced the neoliberal agenda are retaining their dominant position. In Spain, the governing Socialist Workers' Party has managed to maintain its broad left base and was re-elected for another four-year term in March, with Prime Minister José Luis Rodríguez Zapatero promising a "socialist economic policy" that would focus on the needs of workers and the poor. There are exceptions to the European continent's shift towards socialism. Despite the recent election of leftist Martine Aubry as leader of the French Socialist Party, the French left has been torn apart by divisions, at the very moment when it could be exploiting the growing unpopularity of the Sarkozy administration. And, in Britain, despite opinion being argu ably more to the left on economic issues than at any time since 1945, few are calling for a return to socialism. The British left, despite promising initiatives such as September's Convention of the Left in Manchester, which gathered representatives from several socialist groups, still remains fragmented and divided. The left's espousal of unrestricted or loosely controlled immigration is also, arguably, a major vote loser among working-class voters who should provide its core support. No socialist group in Britain has as yet articulated a critique of mass immigration from an anti-capitalist and anti-racist viewpoint in the way the Socialist Party of the Netherlands has. And even if a Die Linke-style coalition of progressive forces could be built and put on a formal footing in time for the next general election, Britain's first-past-the-post system provides a formidable obstacle to change. Nevertheless, the prognosis for socialism in Britain and the rest of Europe is good. As the recession bites, and neoliberalism is discredited, the phenomenon of unequivocally socialist parties with clear, anti-capitalist, anti-globalist messages gaining ground, and even replacing "Third Way" parties in Europe, is likely to continue. Even in Britain, where the electoral system grants huge advantage to the established parties, pressure on Labour to jettison its commitment to neoliberal policies and to adopt a more socialist agenda is sure to intensify. We know that Darling has made contingency plans for control over lending rates, as well as outright nationalisation. But at every stage of the crisis, ministers have shrunk from anything that might be seen to encroach on the independence of the private bankers whose reckless failure has been at the heart of the meltdown. Even now, ministers insist on informal pressure and an arm's length relationship with the banks the government itself owns, and hope that modest adjustments to the bailout terms will do the trick. It isn't working. Darling is already speculating about the need for further eye-watering injections of capital. The logic in favour of bringing all the main banks into public ownership as the cheapest and most effective way of ending the squeeze and directing credit into the productive economy is becoming ever stronger as the crisis deepens. It may turn out to be the only way. You can read the whole of Seumas' brilliant piece on what the British government needs to do next, here. This essay of mine, calling for an end to the neocon-inspired US hostility towards Syria, appears in the anti-war magazine The American Conservative. It's a long article, so I'll be posting it in two parts, part two will follow shortly. If you haven't visited Syria, then don't be put off by the negative propaganda surrounding the country, the people are incredibly kind and hospitable and Damascus is one of the most magical cities in the world. It’s a Middle Eastern country where Christian celebrations are official state holidays and civil servants are allowed to take Sunday morning off to go to church, even though Sunday is a working day. A place where women can smoke and wear make-up and are active in public life. A country implacably opposed to Islamic fundamentalism and al Qa’ida, and whose security forces helped foil a terrorist attack on the US Embassy. The list of the Bush’s administration’s foreign policy errors is long, but not least among them is the way in which it has treated Syria- in many ways a natural ally- as a pariah. Despite having a secular government, led by a London- trained ophthalmologist who has a British born wife, Syria was added to the ‘Axis of Evil’ by US Ambassador to the UN, John Bolton in May 2002. In 2003, Washington passed the ‘Syria Accountability Act’ which imposed economic sanctions on Damascus. And according to President Bush, Syria poses “an unusual and extraordinary threat to the national security, foreign policy and economy" of the US. Then to add injury- and death- to insult, in October American forces launched an attack from on Iraq on the Syrian village of Sukkiraya from Iraq. Eight people were killed. The US claimed to have been targeting the network of al-Qaida-linked foreign fighters moving through Syria to Iraq, but the Syrian government denounced the strike as ‘criminal and terrorist aggression‘. How can we account for the US’s extraordinary hostility to a country that has never threatened it? The answer is the baleful influence of our old friends the neocons. Nothing better illustrates the fundamental deceit that underpins neo-conservatism. If defeating radical Islam really was the name of the game as Podhoretz, Feith, Wolfowitz, and company insist, then the US would surely have been building bridges with Damascus, instead of treating it as an outcast. For Syria‘s problem with Islamic militancy predates America’s. Since the Ba’athist takeover in 1963, the Syrian regime has come under pressure from radical Islamists who dislike its socialistic, secularist policies, its empowerment of women and the dominance of the Alawites- a group previously considered the underclass in the country. In 1973, there were violent demonstrations against planned changes in the constitution which proposed allowing non-Muslims to be head of state. Extremists assassinated prominent members of the regime and the Alawite sect. Then in 1979 came the bloody massacre of 83 cadets at the military academy in Aleppo, followed by terrorist attacks in other Syrian cities. Three years later there, there was a violent Islamic uprising in the town of Hama, in which Ba’athists were attacked and murdered. The government‘s response was brutal: up to 30,000 people were killed when the army, under President Hafez al-Assad’s brother, attempted to restore order. The threat that radical Islamists pose to the secular regime has receded since the early 1980s, but it has not gone away. The car bombing of a Shia shrine in Damascus in September, which killed 17 people, was the third such attack this year. I first visited Syria in 1999, during the last year of the 29-year rule of Assad père. With its state-owned self-service cafeterias, socialistic style public buildings and East German-made trains, Syria reminded me more of the communist countries in eastern Europe I had visited in the 1980s, than a predominantly Islamic Middle Eastern state. While the Syrians I met could not have been friendlier or more hospitable, there was no disguising the totalitarian nature of the regime. Pictures of Hafez al-Assad hung everywhere. An extraordinary amount of people were in military uniforms, including in the universities I visited- a ‘state of emergency’ has existed in Syria since the Ba’athists came to power. If that all sounds pretty grim, there is, thankfully, another side to the story. The Ba’athists have undoubtedly bought stability to a country divided on religious and tribal lines- and considerable economic and social progress. In my travels in Syria I did not see abject poverty of the sort that exists in most other countries in the region. The government's secularism means that most members of religious minorities, such as the Alawites, Druze, Christians and Isma‘ilis support the regime. “We support the government here because if it was toppled the Islamists would rule” a young female academic at the University of Latakia told me. The parallels with neighbouring Iraq- and the ethnic and religious strife which engulfed the country when the secular Ba’athist regime was toppled there-are all too obvious. Last week Jamaica voted to end its 20-year moratorium on capital punishment. Here's my piece from The Daily Express on why the Caribbean island is ignoring the opinions of the EU and human rights groups, such as Amnesty International, to bring back hanging. It's quite a long article so I'll be posting it in two halves- part two to follow shortly. With its idyllic scenery, golden sandy beaches and lush vegetation, Jamaica is unquestionably one of the most beautiful countries in the world. But sadly, it is also one of the most violent. Last year there 1,400 murders on the Caribbean island, a staggering total for a country of just 2.8 million people. This year the number of killings has already passed 1,240. Jamaica has over 60 homicides a year for every 100,000 citizens, that's almost thirty times higher than Britain. Faced with rising public concern, the Jamaican Parliament this week voted by 34 votes to 15 to end the 20-year moratorium on the death penalty. The measure was backed by Jamaica’s governing Labour party, which despite its name, is the country’s main conservative party, with Prime Minister Bruce Golding promising to resume executions. “I wasn't for the death penalty, but since the Ananda Dean incident, I am for it," said Labour MP Karl Samuda in the debate during this week’s vote. He was referring to the abduction and murder of an 11 year schoolgirl in September- a crime which shocked a nation which thought it was beyond being shocked. Little Ananda had last been seeing getting on a bus to go to school- almost two weeks later her naked and headless body was found buried by the roadside in a wooden box. Her murder was only one in a series of horrific crimes involving children to have taken place in Jamaica this year. In September the dismembered body of 11-year-old Aakim Scott- who had gone missing from his home, was found in a rubbish bag. In May, gunmen shot two teen sisters dead in their Kingston home, on the eve of their father’s birthday. While earlier this month, 13 year-old Christopher Suckra, was found naked with his head bashed in after not returning home from school. Violent crime has so blighted Jamaica that even long-standing opponents of capital punishment in Jamaica, such as its leading clergymen, have called for its reintroduction. "There is need for some tough decisions and people will grumble and cry. But we'll have to make (those) decisions if we're going to have change in our land," said Bishop Ronald Blair, only a few days after a man attempted to behead a pastor with a machete, while he was preaching in the pulpit. But Jamaica’s decision to bring back the ultimate deterrent looks set to put it on a collision course with western human rights groups- and the European Union, which may impose sanctions. Last month, Benita Ferroro-Waldner, the EU’s Commissioner for External Affairs, condemned the death penalty saying it “serves to aggravate a culture of violence and retribution”. She stressed that the EU- which prohibits the use of the death penalty in member states- was “determined to work towards the universal abolition of the death penalty through all available diplomatic channels”. The EU has openly sided with the anti-death penalty campaigners in Jamaica, giving a grant of 320,000 euros to a Jamaican human rights group opposed to the reinstatement of capital punishment. Britain too, is not likely to be pleased with the decision taken by its former colony and current Commonwealth member. There are likely to be appeals by lawyers representing prisoners currently on ‘death row’ to the Judicial Committee of the Privy Council, a body which though it sits in England and consists of British judges is still Jamaica’s highest court. The 1993 ‘Pratt & Morgan’ ruling by the Committee mandated that the sentences of inmates on death row for more than five years be commuted to life imprisonment. Meanwhile Amnesty International, the human rights group which campaigns for a worldwide moratorium on capital punishment, has called for Jamaica to reject the death penalty and claims that “a return to hanging will not solve the public security crisis”. None of these arguments are however, likely to hold much sway with the Jamaican public who, if opinion polls are to be believed, strongly support the government’s move to resume capital punishment. In fact, there is resentment in the country that outsiders are seeking to influence Jamaica’s right to decide its own laws. Jamaica’s problem with violent crime is a comparatively recent phenomenon. For most of the 20th century, the country was renowned for being a safe, law-abiding place- as late as 1965 the island’s homicide rate was only 3.7 per 100,000 people, nearly twenty times lower than today. Wealthy Britons such as the playwright Noel Coward and James Bond creator Ian Fleming, made the tranquil tropical island their home. The rapid rise in violent crime in recent years has been described by Jamaican writer Kevin Chang as “maybe the greatest explosion of civil violence any nation without significant ethnic, tribal, linguistic, ideological or religious differences has ever experienced“. In the 1970s the island began to be plagued with political violence- carried out by gangs linked to the countries two main parties. The violence reached a peak in the run up to the 1980 general election, in which around 800 people were killed. Over the last decade, the level of non-political violent crime has soared. The numbers are truly mind-boggling. 1,100 people were murdered on the island in 2001- a 30% increase on the previous year and the highest rise ever in one year. In 2004 the number of murders rose to 1,471, a year later it was up again to a new peak of almost 1,700. ....is being broadcast on BBC2 at 0.20 am tonight (ie Tuesday morning). If you're in Britain or able to receive BBC2 don't miss it, you won't regret it, I can assure you. The Adventure of Caesar's Last Sleep (not 'Caesar's Sheep' as it states on the BBC website! ), is an ingenious locked room mystery involving the murder, in a New York hotel room, of a key informant in a mobster trial. Police guard the ante-room and the windows are locked. How was the informant murdered? The solution will be a surprise to most viewers, but all the clues are there before your very eyes. The best ever episode in the best ever mystery series. Enjoy! Well done for re-showing Ellery Queen- for that alone I'm happy to pay my licence fee. But why on earth show these wonderful programmes at twenty past midnight on a Monday night? Put them on in the evenings on BBC1 or BBC2 and you'd be amazed at the ratings you'd get. This column of mine on the strong support for nationalisation in Germany and other issues involving public ownership, appears in today's Morning Star. Germany is certainly a very interesting place to be at present. The unequivocally and unapologetically socialist Die Linke (The Left) party goes from strength to strength- gaining more new members than any other German political grouping. Sales of books by Karl Marx are up by 300%. And a new opinion poll shows that the overwhelming majority of Germans would not only like to see an end to any further privatisation- but the nationalisation of large segments of the economy. In the survey, carried out by Forsa research group, 77% of Germans said that the state should take large equity stakes in German energy companies, while 64% said that financial institutions should be at least partly nationalised. Furthermore 60% of Germans said that the airline Lufthansa, Deutsche Post and the railway Deutsche Bahn should either come into, or stay under state ownership. And up to 45% of Germans thought nationalisation or partial nationalisation should extend to the telecommunications, chemicals, pharmaceuticals and farming sectors. The poll shows the depth of opposition to neoliberalism in Europe’s largest economy, but encouraging as it is, important battles still lie ahead. 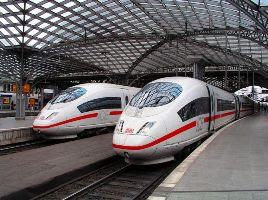 The Financial Times reports that “regardless of the changing sentiment, Berlin continues to work on divesting its residual stakes in the former post and telecom monopolies and is planning to float Deutsche Bahn next year”. The next few months will tell us just how committed to democracy the German government of Angela Merkel really is. Will it listen to the German people and halt privatisation- and embark on a programme of re-nationalisation? Or will it treat the views of the people with contempt and carry on privatising? As public support for nationalisation grows by the day, so the attacks on it in the media by Thatcherite ideologues intensify. One such piece appeared recently in The Times. Lambasting British Rail, the writer opined: “Now that bankers and hedge fund managers are in the dock, it is easy to forget how nationalised industries ruined the economy. But with Gordon Brown out to convince the world that we need another state-led Keynesian spending splurge, we would do well to recall what happened last time the State took it upon itself to run industry". What the writer didn’t mention in his anti-British Rail tirade was that the state owned railway received over four times less money from the British taxpayer than today's privatised railway companies do- yet it still provided a far superior level of service to passengers- and much lower ticket prices. But of course, what are little things like facts when you’re peddling neoliberal propaganda? Thomas Cook- the world’s first travel agent -was born exactly 200 years ago this month (November). The company which the temperance campaigner from Derbyshire formed has a long and illustrious history- but what is almost forgotten today is that from 1948-72, it was owned by the British public. The company was nationalised as part of the British Transport Commission and stayed in public ownership until it was sold to a private consortium twenty-four years later. The idea of a state-owned travel agent would no doubt be condemned as ‘Stalinist‘ if mooted today- but the fact that the company stayed in state ownership under 13 years of Conservative Government from 1951-64 shows just how far the ideological pendulum has swung since then. The former head of Coca-Cola once said he wouldn’t be satisfied until the ‘C’ on household taps stood for his company’s product and not ’Cold’. Well, if the neoliberal lunacy continues-we could soon be having the letters ‘M & S’ on our taps instead. Or even ‘T’ for Tesco. The Daily Mail reports that supermarkets could be given the right to supply water to Britain’s homes, after a government review had cleared the way for a shake-up in the sale of water, first to business and then to consumers. The proposal has received the backing from an industry review headed by Professor Martin Cave who enthused “Extending competition will deliver benefits for customers through lower prices, more choice, higher service levels and better use of water”. Really? Haven’t we heard this one before? The very same claims were made when water was privatised in the first place- and twenty years on we’re still waiting to see any benefit to customers. There is a much simpler way to ‘deliver benefits for customers through lower prices’ and that is to restore water to full public ownership. When the industry was publicly owned, household water bills were so small no-one even bothered talking about them. Now they are a major item of household expense. Not surprising when you consider how many fat cats have their noses in the trough. UPDATE: The Exile informs me that there's a typo in this post- I mistakenly typed in 'De' instead of 'Die' Linke. You couldn’t make it up. You would have thought that after the disaster of railway privatisation the free market loons of The Adam Smith Institute, who came up with the whole barmy idea in the first place, would have done the honourable thing and left public life for good. But no, they’re still at it. The battiest think tank in the world wants to see the publicly-owned Glas Cymru- the company which owns Welsh Water subjected to the “disciplines of private sector ownership”. And we all know that that will mean: profits for the few, but much higher bills for householders. Though Glas Cymru may not be perfect, it looks a damn sight better than what we have in England! We are being told that the only way to lower our bills is to have the profiteering water companies competing with each other. We have this with our gas and electricity suppliers - but do our bills come down? No, they compete with each other to squeeze as much money out of customers! So, there’s Northern Ireland Water, Scottish Water, Welsh Water - how about English Water? Meanwhile, I see that the Adam Smith Institute have got a new book coming out entitled 'Privatisation-Regaining the Momentum'. That's sure to be a best-seller this Christmas, isn't it? The Weekly Fromm: To Have or To Be? Continuing our series focusing on the work of the great German social philosopher and psychoanalyst Dr Erich Fromm, arguably the most prescient thinker of the 20th century. Above you can watch the great man talking about the having and being modes, from a 1970s BBC interview with Robert Robinson. It's extremely interesting, particularly when Dr Fromm turns to knowledge as a form of having- and the type of professor who knows everything but who tells us nothing. What comes over in this interview and indeed in all his interviews is Fromm’s fundamental modesty. He says that the points he makes are not new and have been said more powerfully and more beautifully by others. But personally, I don’t know of a single writer who has made the case for a mode of existence based on being and not having- more powerfully- or more beautifully than Erich Fromm. Is there anything more nauseating than someone who is immune from the effects of the economic downturn saying how the recession might be good news? "On many counts, recessions can be good for us. People tend to smoke less, drink less alcohol, eat less rich food and spend more time at home with their families." Don't you just love the 'us'? As a superannuated member of Britain’s political elite, you can be sure the recession will not be impacting on Mr Lansley. David Cameron is set to defy the credit crunch by going to a lavish black-tie party -only weeks after he instructed Tory chiefs not be seen drinking champagne at a reception. Most of the Conservative high command is likely to be at multi-millionaire hedge fund tycoon Michael Hintze's 55th birthday bash later this week - but they are under orders to keep details secret. Although his investment fund has had £200 million wiped off its value in recent weeks, Hintze, one of the Tories' most prominent backers, is understood to be determined to push the boat out. As I've said before many times before, the big divide in Britain today is not between Labour and Conservative, but between the political elite and the rest of us. A very happy Thanksgiving Day to all US readers of this blog. Here's the second and concluding part of my article on The Baader-Meinhof gang from The Daily Express. You can read Part One here. Above you can watch a trailer for Uli Edel's new film 'Der Baader-Meinhof Komplex', which is currently on general release. Though the violence shocked most Germans, a 1971 opinion poll found one in five under the age of 30 expressed a “certain sympathy” for the gang’s members, while one in ten Northern Germans said they would willingly shelter Red Army Faction members for a night. By now the authorities were desperate to break up the gang. In June 1972, German police burst into the apartment of a young Scottish businessman and shot him dead, even though no evidence could be later produced to link him to the gang. It was in the same month, however, that Baader was arrested after a lengthy shoot-out in Frankfurt along with Meinhof who was betrayed to the police by Fritz Rodewald, a teacher in whose house she had been staying. In 1974 Meinhof was given an eight-year jail sentence. Eighteen months later, aged 41, she was found dead, hanging from a rope made from a towel in her prison cell. The official version was suicide: Meinhof was depressed after not hearing from her children on Mother’s Day. Yet her supporters maintain she was killed by the authorities. More than 4,000 people attended her funeral. A neurologist who conducted the autopsy on Meinhof noticed changes to her brain caused by an earlier operation for a brain tumour-leading to claims that her transformation from aspiring writer to terrorist may have been caused by a mental illness. Gang members, trying to force the authorities to release Andreas Baader from jail kidnapped German industrialist Hanns-Martin Scheyler, a former SS officer. At the same time in October 1977, a Palestinian group with links to Baader-Meinhof hijacked a Lufthansa plane and its 91 passengers, demanding the release of Baader- and 10 other gang members. After a six-day siege, German special forces boarded the plane and killed the hijackers. Seeing his chance of freedom gone, Baader, now 34, and two associates took part in a suicide pact. Again, that is the official version: surviving gang member Irmgard Moller claimed that, like Meinhof, Baader and his colleagues were victims of ‘extra-judicial killings‘. Even with two of its key members dead, the Red Army Faction was still far from finished. The gang reacted to the death of their founder, by murdering their hostage on the same day. "After 43 days, we have ended Hanns-Martin Schleyer's miserable and corrupt existence. The fight has only just begun.” a letter from the gang to a French newspaper announced. Over the next thirteen years, the Red Army Faction continued their campaign of violence- targeting businessmen, bankers, US military figures and politicians. "Almost 28 years ago, on 14 May 1970, the RAF arose in a campaign of liberation. Today we end this project. The urban guerrilla in the shape of the RAF is now history." A decade later though, with the release of the new film, Germany’s most notorious- and controversial terror group- and its two charismatic founders- is once again in the limelight. It's been quite hilarious reading the completely OTT response of various media commentators to the incredibly timid economic measures announced by the British government yesterday. The government said that they would raise the top rate of income tax to 45% on income over £150,000 in 2010- hardly a revolutionary measure considering that most other countries in Europe have a top rate of tax for high earners (often cutting in at a much lower rate than the one proposed by Alistair Darling) but apparently it means that 'socialism' has returned to Britain and we are back to the 1970s. *Reintroducing a staunchly progressive income tax system. When we do get a government doing all or most of those things, then I think we can accurately call it 'socialist'. In the meantime we can only smile at the attempts to portray Gordon Brown (above) as the George Lansbury of the 21st century. Barack Obama's Great Betrayal of his Anti-war supporters? Barack Obama's signature issue in the primaries was his "good judgment" to oppose the Iraq war. He invoked this more than any other qualification in his early battles with Hillary Clinton. She may have experience, he'd charge, but she lacked the wisdom to oppose the war. Indeed, the whole Democratic establishment was somehow corrupt or out of touch for not opposing the war, according to the Obamaphiles. So now Barack Obama is going to appoint Hillary Clinton to be the chief architect of his foreign policy. Moreover, he picked Joe Biden to be his running mate and "partner" in the White House explicitly because of his foreign policy experience and judgment. But wait: Joe Biden, too, supported the war. Meanwhile, at Defense, it looks like he will keep George W. Bush's man, Robert Gates.......surely keeping Bush's SecDef is not exactly what the anti-war Dems had in mind as "change we can believe in." Heck, Joe Lieberman's sitting pretty and he endorsed McCain. 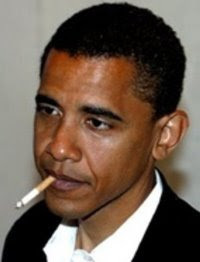 It will be interesting to see how long Obama's charisma can paper over reality. opines neo-con commentator Jonah Goldberg in The NRO. Is Barack Obama in the process of betraying his anti-war supporters? "That is, over all, a centre-right foreign policy team. I feel incredibly frustrated. Progressives are being entirely left out of Obama's major appointments so far." Meanwhile, Markos Moulitsas, founder of the anti-war Daily Kos site, warns that Democrats risk sounding "tone deaf" to the views of "the American electorate that voted in overwhelming numbers for change from the discredited Bush policies." I've put a question mark on the heading of this blog post, because of course we're still to see what Obama's foreign policy will be like in practice. But as far as his early appointments are concerned, it's hardly a promising start, is it? (many thanks to Stuart Reid for alerting me to the Goldberg piece). Well, can anyone remember a weekend when not only did none of the Big Four win, but none of them even scored a goal? I certainly can't. Long-standing readers will know my views on the Premiership, and how top flight football has become mind-numbingly predictable since its introduction. But the2008-9 season is shaping up to be rather interesting. We've had the incredible rise of Hull City (whose manager Phil Brown is pictured above) and the surprisingly good showing of Stoke City. The demise of Arsenal. The fall- and rise- of Tottenham. Robinho working his magic at Man City. And a league table where only a handful of points separate half the division. Of course, its odds on that 'normal service' will soon be resumed. But in the meantime lets enjoy the unpredictability while it lasts! Introducing a regular new feature on this blog: The Weekly Fromm. The feature will focus on the work of the great German social philosopher and psychoanalyst Dr Erich Fromm, arguably the most prescient writer of the 20th century. Fromm has influenced my political thought more than any other writer: if I was allowed just three words of advice for anyone interested in trying to improve the society we live in, I would say 'Read Erich Fromm'. Sadly, it seems all too few people in Britain today do read Erich Fromm, and if we are going to rescue our disintegrating society, that's something that needs to change. To kick off the series, above is the first part of Fromm's 1958 television interview with Mike Wallace. In it he talks, among other topics, about the marketing orientation. Modern capitalism Fromm argued, produces a neurotic character type: "the marketing character", who "adapts to the market economy by becoming detached from authentic emotions, truth and conviction". For the marketing character "everything is transformed into a commodity, not only things, but the person himself, his physical energy, his skills, his knowledge, his opinions, his feelings, even his smiles". (For a perfect example of a "marketing character", we only need to think of a recent inhabitant of No 10 Downing Street). The marketing character is deeply insincere, and modern capitalism ensures that we have marketing characters in abundance. HAT TIP for the You Tube clip- to the Editors at Media Lens. This article of mine appears in the Daily Express. It's quite a long one, so I'm posting it in two parts. Part Two to follow shortly. He was the handsome school drop out- a car thief who loved violence and causing mayhem. She was the pretty middle-class girl, the university-educated daughter of an renowned art historian, who gave up a career in journalism- and her belief in pacifism- to join what she called the ‘resistance’ against international capitalism. Together, Andreas Baader and Ulrike Meinhof (pictured above)- of the notorious Baader-Meinhof gang, waged a war of terror which included bombings, kidnappings, and politically-motivated assassinations. Thirty years on from their deaths, a new German film, The Baader-Meinhof Complex is reigniting the controversies surrounding the couple- known as the Bonnie and Clyde of Seventies terrorism- and dividing the country as much as the gang‘s activities did in the 1970s. The film has been accused of glamorising the violence of the Baader-Meinhof gang and portraying the pair as heroes. “The Baader Meinhof Complex is the worst-case scenario - it would not be possible to top its hero worship." is the opinion of Meinhof’s daughter Bettina Röhl. The film has also angered relatives of victims of Baader-Meinhof’s terrorist acts. "It is cruel that little consideration has been shown towards the family members. We feel we're playing the victim all over again” says Michael Buback, whose father was murdered by the gang in 1977. Meanwhile the widow of one of the gang's victims, banker Jürgen Ponto -whose murder is graphically portrayed in the film, has handed back her Federal Cross of Merit, Germany's highest civilian honour, to the German government in protest. But while the film will shock many- there are Germans for whom Andreas Baader and Ulrike Meinhof, despite their acts of violence, are regarded in a more favourable light: as two young idealists taking on power and privilege in an attempt to build a better society. The genesis of the Baader-Meinhof campaign of terror begins in the student disturbances at German universities in the late 1960s. The fatal shooting, by the German police of student Benno Ohnesorg who was protesting against the visit of the Shah of Iran to Berlin and the attempted assassination of the student activist Rudy Dutschke in April 1968 had a radicalising effect on both Baader and Meinhof, who was then working as a journalist for a left-wing magazine. Shocked by the attack, Meinhof wrote: “Protest is when I say this does not please me. Resistance is when I ensure what does not please me occurs no more”. From now on, both Baader and Meinhof were to pursue more violent means to achieve their political goals. "If one sets a car on fire, that is a criminal offence. If one sets hundreds of cars on fire, that is political action” Meinhof wrote. In the spring of 1968, Baader, together with his girlfriend, Gudrun Ensslin had set fire to two department stores in Frankfurt as a protest against the Vietnam War. They were both arrested and sent to jail and it was in covering the story that Ulrike Meinhof first met the man with whom she was to forge her infamous alliance. The gang was launched in dramatic fashion in May 1970. The imprisoned Baader was allowed to study at the library of a research institute outside the prison, without handcuffs. Meinhof (still working as a journalist) and two other “garishly dressed” girls were allowed to join him, and aided in his escape by opening a door to admit a masked man who fired shots that wounded the 64-year-old librarian. Baader, the three women and the masked man fled through a window. The Baader-Meinhof gang was born. Both Baader and Meinhof were now outlaws- Baader and the three women involved were accused of attempted murder and a 10,000DM reward was offered for Meinhof's capture. For the next two years, Meinhof enthusiastically threw herself into the gang’s ‘resistance’ campaign. Baader and Meinhof certainly made an odd couple. With his penchant for dark sunglasses, skin-tight velvet trousers and black leather jackets, the dandyish Baader modelled himself on the Hollywood actor Marlon Brando. Having failed at a succession of jobs, he had worked as a male model, supplementing his income by stealing cars, before deciding to devote himself to revolutionary politics. Meinhof, a shy, attractive woman with long brown hair had studied sociology and philosophy at university. She was a deep-thinking intellectual who smoked incessantly and was prone to depression. So committed was she to what she called the ‘anti-imperialist’ struggle that she even arranged for her two young daughters to be sent to Jordan to be raised as Palestinian fighters. In September 1970, the Baader Meinhof gang (officially styling itself the ‘Red Army'- and later ‘Red Army Faction’), carried out three bank robberies simultaneously, netting over 200,000 DM in the process. Bader-Meinhof’s most audacious bank robbery came in February 1972, when the gang, dressed in full carnival-mask regalia, raided the Bavarian Mortgage and Exchange Bank, netting DM 285,000. Meanwhile, their campaign of violence was stepped up. The gang placed three bombs in the US Army headquarters at Frankfurt, destroying the officers mess and killing a Vietnam war veteran. In May 1972, they bombed the Augsburg police headquarters and blew up the car lot of the Munich Criminal Investigation Unit. That same month, a car bomb was placed in the car of the judge who had signed most of the Baader-Meinhof arrest warrants- the judge‘s wife, who was in the car when it exploded was severely injured. Also in May 1972, the gang parked two cars containing bombs in the barracks of the US Army Supreme European Command in Heidelberg. When the bombs exploded they killed three American soldiers: a communique from the gang said the attack were a "response to the American bombings in Vietnam"